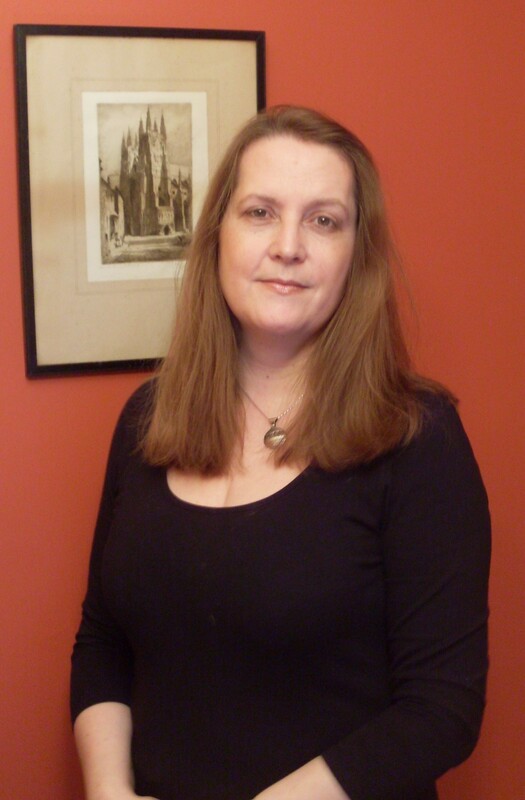 Best-selling author E.M. Powell chats with me about her audiobook! Since June is audiobook month, I asked another bestselling author to tell me about making an audio version of their novel. This time we have E.M. Powell, whose debut novel The Fifth Knight was an Amazon number 1! Trust me, hitting the top spot is an incredible achievement, and one I’m very jealous of, so I’m sure Elaine will have plenty of good advice to offer. Hi Elaine, I’ll start with a simple one: Why make an audiobook? My route to publication was slightly unusual. The Fifth Knight, my medieval thriller about the murder of Thomas Becket in 1170, was originally published as a Kindle Serial. Kindle Serials were an Amazon.com venture where readers paid one price for a book and then received it in installments over a six week period. My publishers, Thomas & Mercer, then released it as a complete novel. The audiobook followed almost twelve months later in October 2013. How did you find your narrator and why did you choose him? Thomas & Mercer took care of all that. And I think they made a fantastic choice in James Langton. James has narrated dozens of Audiobooks in historical, thriller and romance genres. Reviewers of all his work seem to like his voice a lot. One said she found ‘his tone soothing and the slight huskiness to his voice very attractive.’ I think that’s a fair description! How did you feel when you first heard your book being read by James? Weirdly, I was really nervous before I pressed play! I think that when we write novels, we have our own internal voice in our head. Then when we read aloud, it sounds different. To then listen to a third party read our words makes it into something else again, something over which we no longer have control. I think it’s also a bit like when you see a film or a TV series based on a novel you like. The medium of the book has now been changed. Done badly, it ruins a good book. Done well, it becomes something that you can enjoy just as much, which was the case for me. I loved how James narrated The Fifth Knight. I agree, not just as writers, but as readers too, we have our own internal voice, our own idea of how a narrator sounds. It can be very strange to hear a different voice reading your words! How has feedback been so far from listeners? In The Fifth Knight, easy identification of characters was essential. I had at times five characters (All potentially called Sir!) in the same fast-paced scene. This was difficult enough to keep clear on the page. Without a really good narrator, it could have been too difficult to follow. But it’s an oddly different process from other reviews, which are all about the novel and the actual story (mostly!). Audio reviews are of course about the narrator as well. Any tips for authors wanting to make an audiobook or promoting one? Less is more when it comes to characterisation. An Audiobook is not a radio play, it’s a narrated novel. A radio play might last an hour. An Audiobook like The Fifth Knight (which is a standard 100,000 word novel) runs at eleven and a half hours. So while you might have an Irish or a French character that doesn’t grate in writing, it would be very easy to drive a listener up the wall with repeated Top O’ The Morning/Inspector Clouseau voices. Actually, that sounds highly entertaining, although you’re probably right and it would grate after a while! Do you plan on making more of your books available in audio format? 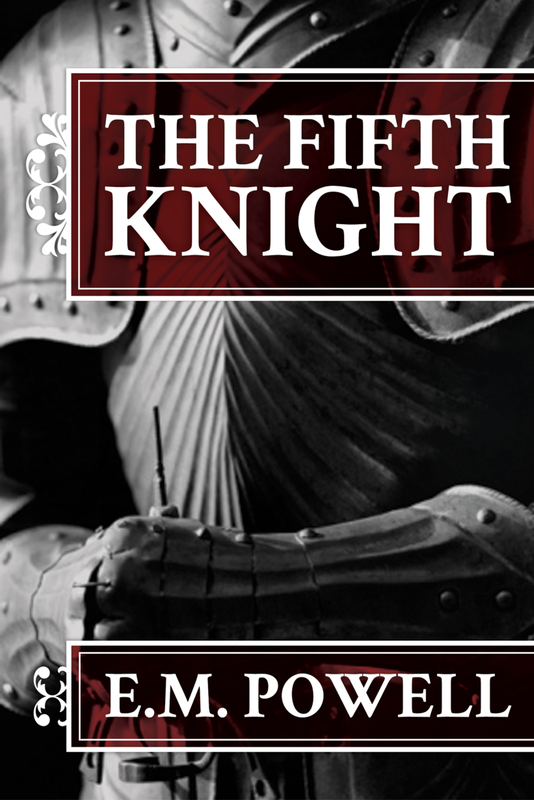 The sequel to The Fifth Knight is called The Blood of The Fifth Knight and is to be published by Thomas & Mercer in late 2014 (as a complete novel: there is no serialisation this time). The production process for the Audiobook has already started. Would you use the same narrator? I have pleaded for James Langton again and am hoping those pleas have been listened to! Overall, how do you feel about the whole experience? It’s been a bit daunting and of course it requires another round of promotion. But I think there’s going to be more readers who will take up Audiobooks with advances in technology such as Whispersync that’s available on Amazon.com. When you own the Whispersync for Voice-ready Kindle book and the Audible audiobook you can switch between reading and listening without losing your place. Overall, it’s been great. Many thanks to Elaine for answering my questions. I hope you’ll check out her audiobook and keep an eye out for the sequel, Blood of the Fifth Knight.